that schedule or to its own. 2. 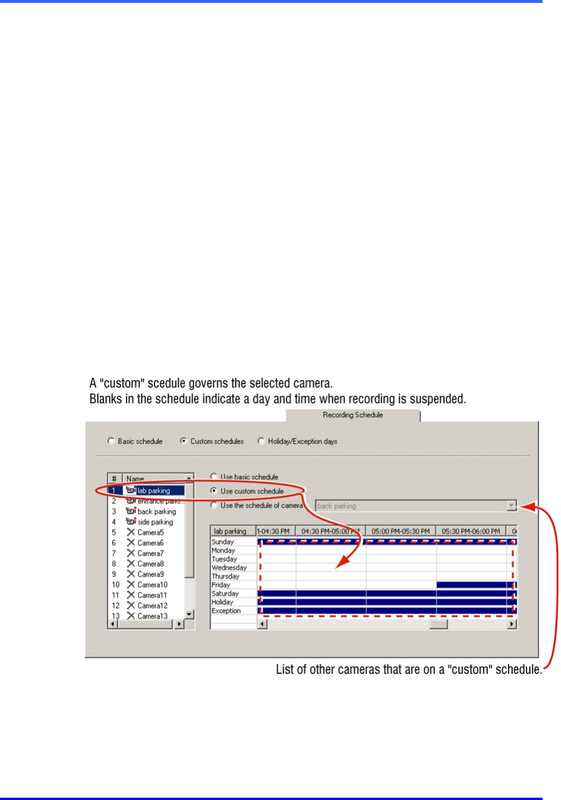 Click the Recording Schedule tab. schedule grid. See figure 83. Schedule and Holiday and Exception, above. Fig. 83. Arming alarms weekends, holidays and exception days.